This is what we wake up to about 7am each morning. Must…get…taller…bed! Love this Decemberists mural on Alberta that I spotted on a bike ride back home. 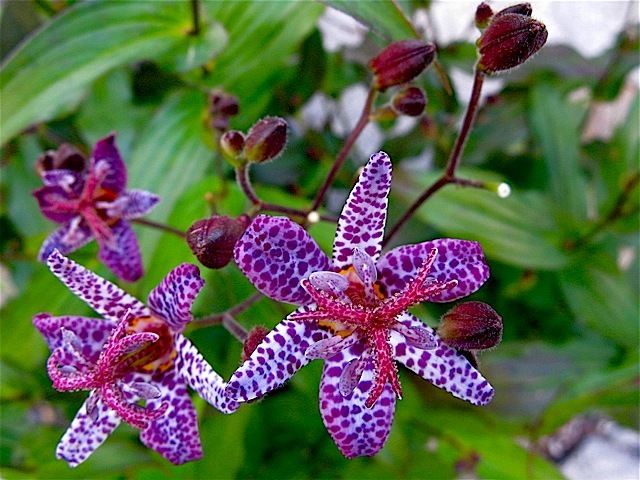 How can those flowers possibly be called “toad lilies”? They’re so beautiful! I’m sure there’s an interesting story attached to that name!